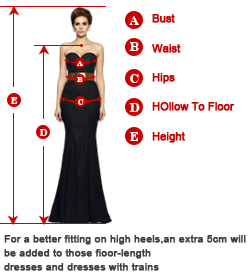 Note: For a better fitting on high heels, an extra 5cm will be added to those floor-length dresses and dresses with trains. Tailoring Time:7-12 Days Whether you choose a standard size or custom measurements, our tailors craft each dress to order. Shipping Time :2-4 Days Your dress will be finished tailoring in around 7-12 days. Then we will ship it out via UPS / DHL / TNT/Fedex. The earliest arrival date is May 03, 2019 if order placed TODAY. 2.We are the fastest Made-To-Order dress company in the world. 3.We are not a retailer, we operate our own factory, so you can get the best price! 4.ALL SIZES & COLORS AVAILABLE! 100% FREE CUSTOM MADE! 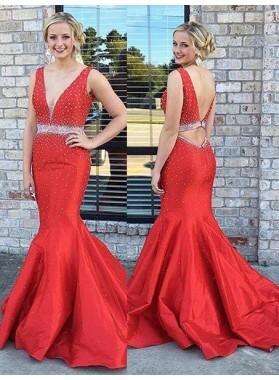 Custom perfect prom dressonly for you here !Round Neck Sleeveless Crystal A-line Satin Prom Dresses 2019 With so many styles of prom dress being shown, you will get excellent and suitable prom gowns easily at last. 1. You can get refund for Defective, Damaged or Mis-shipped Items, Size Deviation & Color Mismatch problems, etc. 2. Please understand that dresses that do not fit properly but in accordance with the specifications you ordered cannot be returned or exchanged. Note: For detailed return policy, please read the following policy carefully. 1. Contact our Customer Service to initiate the return process within 7 days upon receiving your item(s). Please note that we only accept products in their original condition, and we cannot process any products that are returned without our approval. If you wish to return any or all parts of your order, you will need to contact customer service at Contact Us and obtain a "Product Return" form that must be included with your package. 2. 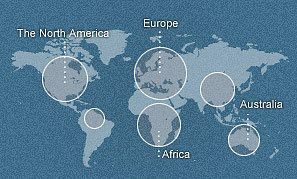 Mis-shipped products: Once we have confirmed your mis-shipped items (item shipped was not item ordered), we will be responsible for item exchange. You may also return the product and get a full refund. 3. Color Errors: If the color of the item received is not what was ordered, you are qualified to get a full refund. Please note that we will not accept any returned items by the color difference which is caused by your display monitor or the weather condition. We understand that it is a very important undertaking to order a dress for your special occasion, and our cancellation policy was created with bearing this in mind. However, it is important to note that our dresses are made to order, and once the tailoring process has begun the materials cannot be reused. The good news is that after placing your order, there is still time for you to change your mind. For further details, please refer to our cancellation policy below. - Unpaid orders will be cancelled automatically after 3 days. We receive hundreds of test orders each day which our members are using to quote certain cart contents and save the invoice for later reference. - Orders cancelled within 6 hours of payment confirmation will be eligible for a full refund. - Orders cancelled 6 to 12 hours after payment confirmation will be eligible for a partial refund consisting of the full shipping cost and 70% of the product purchase price, in order to cover the material cost. - Orders cancelled 12 to 24 hours after payment confirmation will be eligible for a partial refund consisting of the full shipping cost and 50% of the product purchase price, in order to cover the material cost and necessary labor cost. - Orders cancelled more than 24 hours after payment confirmation will be eligible for a partial refund (30% of dress purchased price at most) consisting of the full shipping cost. - Orders that are not paid within 72 hours will be canceled automatically by our system. If you would like to cancel your order, please Contact Us or Live Chat to proceed. Your satisfaction is of utmost importance to our Team. Upon the arrival of your package, it is suggested that you check and make sure the dress has been made in accordance with your order specifications. Please try on your dress as soon as possible without altering, removing the tags, or washing the dress. 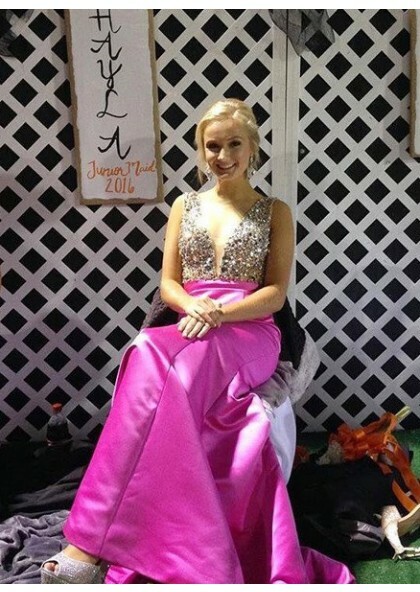 If you are returning or exchanging dresses or accessories, please make sure they are in their original conditions - unworn, unwashed, unaltered, undamaged, clean, free of lint and hair and with tags intact and attached. 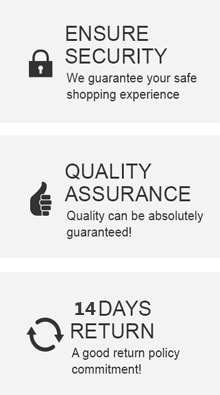 You are qualified to get a full refund if your items are defective, damaged or mis-shipped. 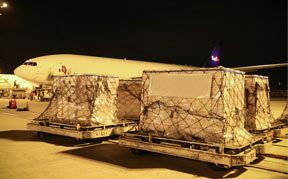 If you believe your items were damaged during delivery, you must first obtain "Proof of Damage" documentation from your delivery carrier, which needs to be included in your returned package. If you wish to refund, you will need to cover the cost of shipping the product back to us. After returning the dress, we will inspect the dress to ensure that the defect was our responsibility, upon which we will offer you a complete refund within 16-20 days. However, if the defect is within aforementioned 10% difference, we can only offer you a partial refund of 20%-50%. We hope you can understand. 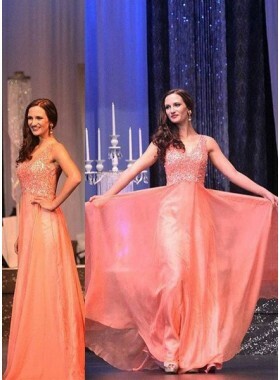 As all of our dresses are hand-sewn and customized, the finished gown may vary by approximately one inch in either direction of the specified measurements. To ensure that your dress will still fit you perfectly, our tailors have created all our dresses with additional fabric in the seams to allow minor size modifications. You are encouraged to find a local tailor to make adjustments. In this case, we will reimburse you for up to 10% of the product price as tailoring costs. If you choose this option, please remember to request a receipt from your tailor as a copy of it must be provided when requesting reimbursement. Please understand that dresses that do not fit properly but in accordance with the specifications you ordered cannot be returned or exchanged. Please note that if your order specifications differ too greatly from the final sizing request, re-sizing may not be possible. The settings of your computer screen may alter the color of the pictures shown on our site. Slight color aberration of your dress and the color shown on screen may not mean that the dress is defective or mis-shipped. However, if you are positive that you have received the item in a wrong color, please contact Customer Service to see if a return or refund is possible. 1. Submit a return request to our Customer Service within 7 days upon receiving your order. Please include an explanation and photographs stating the reason for your return. Please note that returns will not be accepted without prior approval from our Customer Service. 2. Once our Customer Service has approved your request, we will provide you with return address as well as a Product Return Form that must be filled in and included with your return. Please send the item(s) through your local post office within 3-5 business days once you have received the form. Include the Product Return Form with your return. Please don’t use courier agency like UPS, DHL or FedEx to return the parcel as we will not pay for the custom fee that might caused. 3. Once received at our facility, your return will be processed in within 24 hours. Once your return is confirmed and inspected, please allow up to two billing cycles for it to be credited to your account. Please note that items returned in unacceptable condition will not be processed as refunds and will be shipped back to you. 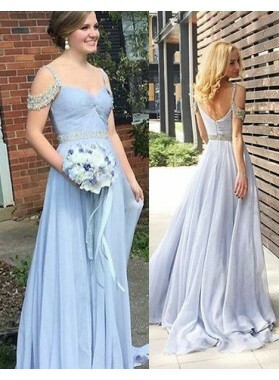 LadyPromDress.com has a good knowledge of shipping routes and chooses the convenient shipping path which makes the delivery faster. Considering the far shipping, LadyPromDress has proffesional personnel taking good care of the dress and packs every piece of the dress quite well.We offer 3 shipping ways: EMS, DHL, UPS, EMS is the fastest method and our store choose DHL as default. Standard receiving time (Count from the date when you pay successfully) = Tailoring time (around 7-12 Calendar days) + shipping time (around 2-4 Calendar days). 1. I like a Dress, but not its color. Can I choose a different color, not available on the product page?? Yes, You can choose on color from the color chart, or you tell us the color you want when you place the order, write the color and other requests into the Special Requirements field. 2. How long can I receive my item? Your receiving time is based on tailoring time + shipping time. At present, we provide rush tailoring service, please contact LadyPromDress.com Customer Service. 3. How can I make sure I order the correct size and fit? 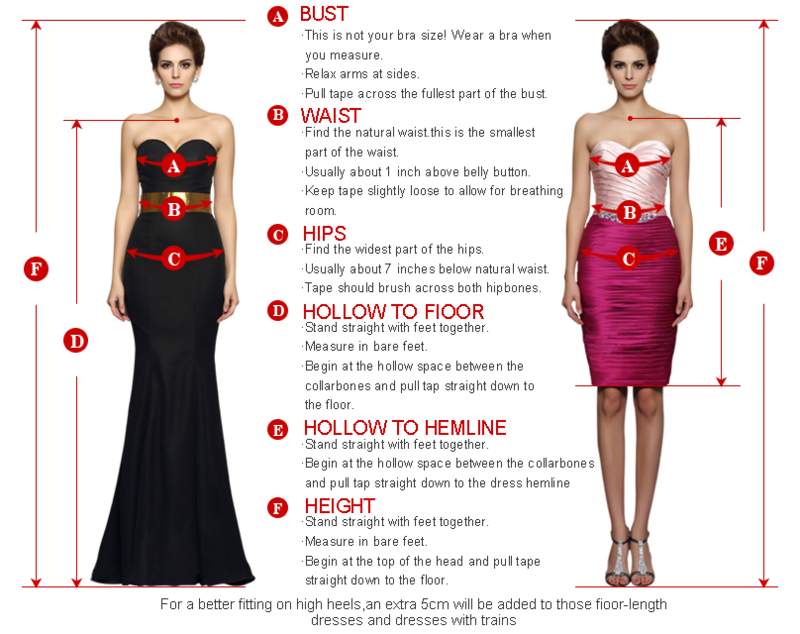 Compare your unique measurements with LadyPromDress.com's size chart and measuring guide. By selecting "Custom Size", your dress will be personally tailored for your exact fit. 4. Can I order this dress in a different style/fabric/length? 5. What payment methods do you currently accept? We currently accept payment via Paypal or Credit Card online or Western Union or paypal. 6. How can I check my order status? 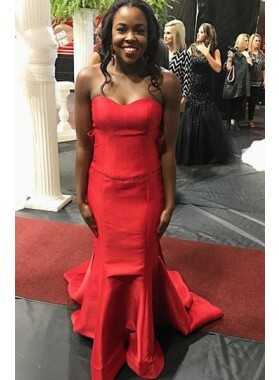 If you want to track the status of your order, like where is your order, when you will receive your order, whether your order has been dispatched yet, please click here or sign in "My Account" first and click "My Orders" at any page of the website or please contact LadyPromDress.com Customer Service. 7. Are there any additional fees involved in shipping? 8. Where can you ship to? 9. What kind of warranty or guarantee do you offer on your products? We sell products that we believe to be of high quality and reliability. We have our own factory, where our tailors process your order. 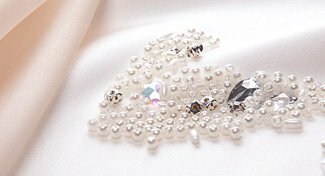 There are no middle man’s afterwards, Before shipping each dress to our customers, our Q&C personnel will do detailed check to ensure the high quality and Never on purpose send out damaged or faulty goods. 10. What is your Return Policy? 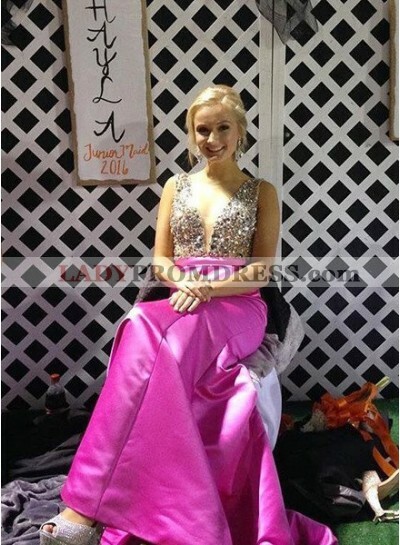 Customers need to contact LadyPromDress.com Customer Service to initiate the return process within 7 days upon receiving your items. If your product arrives in a defective manner, mis-shipped or color error, you are qualified to get a full refund. However, if the item is not faulty or it is made accordance with the size you ordered but does not fit, please note that we will Not accept your returned item. 11. How much will the shipping cost? The shipping cost is $19.9 per order. though if your order exceeds the total order amount of $299 we offer free shipping. 12. 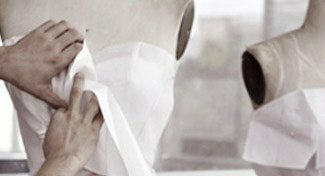 How is LadyPromDress.com different from other online bridal stores? LadyPromDress.com goes right to the source to purchase our beautiful gowns. The gowns we sell are of the same high quality as the designers sold in traditional salons and by other online retailers. Although we do not sell “designer” labeled gowns, you still get a beautiful bridal gown, without the designer price. 13. If I order this dress in a standard size, can i return it if it does not fit?? Or if I just do not like it? 14. What does "hollow to floor" means? 15. I need my order urgently! Do you have this Dress in stock?? 16. I like a dress, do you have any more pictures of it? Perhaps in different colors?? Q: Hi I would love to order this dress for my wedding in April do you all ship to Bailiwick of Jersey in the United Kingdom? A: Yes, we ship worldwide. However, we may need some more specific information about your shipping address. And then you can just add your favorite products to cart, and follow the procedure to fulfill the payment. Then you can just stay at home and wait for your product to come in due course. A: For the short dresses, our dressmakers will make the length based on the hollow to hem you fill in. 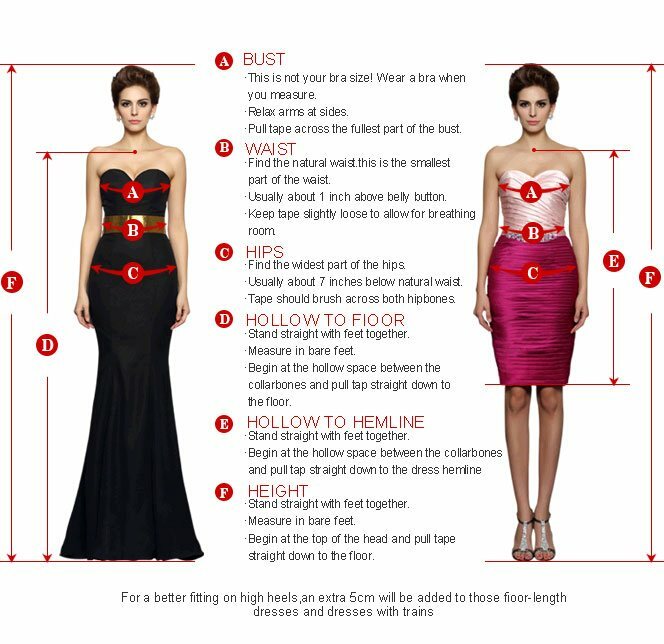 You may also need to fill in the hollow to floor measurement, which can help us calculate your height so that we can ensure making the knee length dress for you. You may refer to our measuring guide to see how to get professionally measuring. Q: Hi do you have real stores? Where can I try the dress on? I am a bit nervous to order the dress online without trying it on first. A: We are so sorry but we do not have real stores in your place and we just do online business. We make high quality dresses in accordance with the pictures. While shopping online, you can also enjoy more competitive prices. Please feel free to contact us and we are willing to give you some professional suggestions. Q: Can I change the size and color for my dresses after payment? A:If you want to change the size or color within 24 hours after payment, please kindly contact us. Q: Hi, how do I order multiple items? A: To place the order for multiple items you will have to follow the procedures as below. 1. Log in on our website; 2. Choose the color, size and add the item into the cart; 3. Press the button “continue shopping” and the add other items into cart; 4. Check out and pay for the dress. Our website will guide you with your order. Q: I am wondering what "hollow to floor" means, i am hoping to put in the custom order. A: Hollow to Floor is the length from your hollow (center of the collarbone) to the floor. When you measure it, please take the tape from your front, with bare foot. You should stand upright and your feet should keep together. Q: Hi, I am getting married in april next year but i live in australia and would have to get custom fit, would my dress be here in time. A: Surely we can deliver the dress to you on time. Usually it takes 7-12 days to make wedding & occasion dresses. The shipping just takes 2-4 days for the shipment. We suggest you order your dress about 1 months before your big day. Thanks. A: We can change the size and color for you but you may need to contact us within 12 hours after you complete the payment. Standard receiving time (Time you pay successfully) = Tailoring time (around 7-12 Calendar days) + Shipping time (around 2-4 Calendar days). Bust *This is not your bra size! *Pull the tape right underneath the arms Bust *This is not your bra size! Bust Bust - Not your bra size! Take the tape around your back and bring it across the fullest part of your bust. Shoulder Shoulder - From the edge of the shoulder socket, measure across the back to the same point on the other shoulder. Arm Length Arm Length - Measure from your shoulder point to the wrist. Armscye Measure from the top of the shoulder, down the front of the shoulder, under the arm pit, and up the back of the shoulder. Each dress is made to order in ladypromdress, including standard size dresses. The custom nature of our dresses means our cancellation and Return Policy is stricter than other items, so it's important to order carefully. Receiving time is based on the tailoring time + shipping time, you will find them in the product pages "Shipping Guide". Yes. 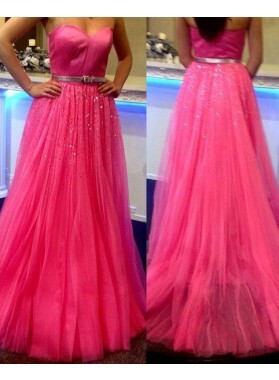 please contact ladypromdress.com Customer Service. If you want to track the status of your order, like where is your order, when you will receive your order, whether your order has been dispatched yet, please sign in "My Account" first and click "My Orders" at any page of the website or please contact ladypromdress.com Customer Service. The shipping cost is $19.9 per order. though if your order exceeds the total order amount of $299 pounds we offer free shipping. Q:How is ladypromdress.com different from other online bridal stores? A: We do offer maternity dresses for customers. To make the right maternity dresses for you, firstly you may need to tick custom size and choose your current measurements, which costs extra $16. Secondly, we hope you could tell us your current belly size in the Special Instructions column when you check out. To help you get accurate measurements, please kindly refer to our measuring guide. We are glad that you like our dress. Please understand that each dress is carefully tailored to match exactly what you see in the photos, and unfortunately we are unable to modify the length in any way.If you would like dresses with shorter length, the “SHOP BY” search function on the left-hand side of each dress category's main page can help you find the dresses you want. Here we provide custom size service for our customers, which costs $. If you choose custom size and provide the correct hollow to floor measurement and your height, we will make the right length for you. The customized dress may fit you better. We have a large collection for your choice. You may have a look at ladypromdress with the back style you want. Thank you. Surely we can deliver the dress to you on time. Usually it takes 7-12 days to make wedding & occasion dresses. The shipping just takes 2-4 days for the shipment. We suggest you order your dress about 1 months before your big day. Thanks. 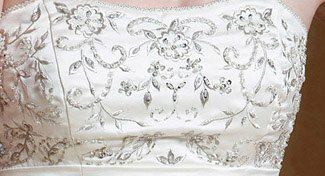 Hand-done appliqués can give a dress that extra detail that takes it from pretty to breathtaking. Our dresses feature appliqués arranged into beautiful designs and attached by hand. 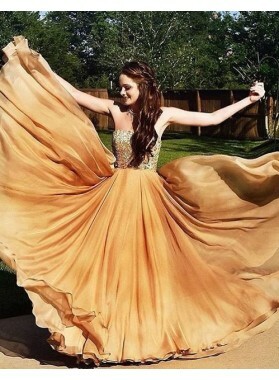 Our brand ladypromdress.com has independent site for the USA, Australia, Canada, Britain, France, and Germany with 24 hours customer service.